The jubilation that Saturday had the New York Yankees celebrating Derek Jeter's 3,000th career hit with a 5-4 victory over the Tampa Bay Rays has since turned to uncertainty and concern now that Alex Rodriguez is expected to be out of the lineup for an extended period of time. The superstar infielder will spend a portion of the All-Star break under the knife in Florida. Rodriguez is scheduled to undergo arthroscopic surgery to repair a slight meniscus tear in his right knee on Monday, with Dr. Lee Kaplan performing the procedure at the University of Miami. 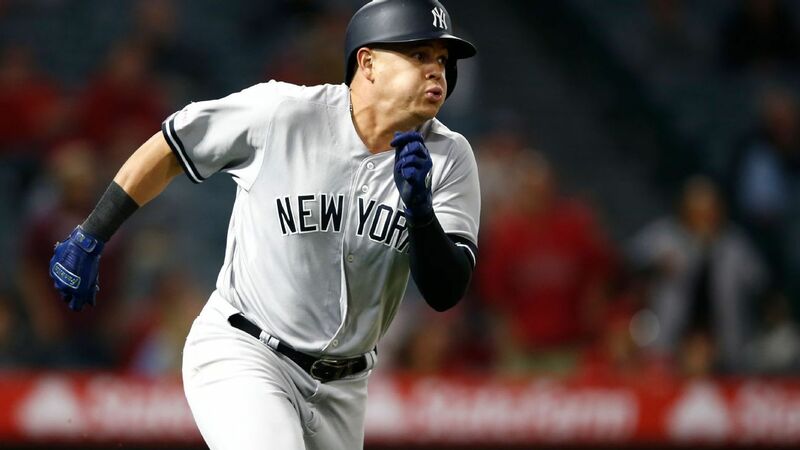 A-Rod is expected to miss four to six weeks while he recovers from the operation, which would place his return sometime between the middle of August and the beginning of September, though there's no telling how long it might take for Rodriguez, who turns 36 on July 27, to get himself back into peak playing shape. If that can be done at this point in his career, that is. Let's face it, folks. A-Rod is far from the player he once was and won't likely ever come close to performing at the MVP level that fans and pundits alike came to expect of the slugger. Such a drop-off is to be expected of any player, especially someone like A-Rod, whose body has borne the brunt of the punishment dished out through 18 seasons and 2,446 total games (postseason included), not to mention whatever damage was wrought by however many years of steroid use Rodriguez endured to keep himself in tip-top shape to perform on the field. And it's not as though Rodriguez isn't still producing, even as he delves full force into the twilight of his career. Technically speaking, his streak of 13 consecutive seasons of 30 home runs or more is still alive, though he would have to mash at an incredible pace once he returns from injury to notch the 17 dingers he still needs to match that number. That still leaves A-Rod with a solid first-half performance, as he'll go on the disabled list with a .295 batting average, 13 home runs and 52 runs batted in. And who knows? Perhaps Rodriguez will come back from his latest physical setback and mash 'til the subway trains come home. Maybe he'll embark on a Ruthian tear to rocket the Bronx Bombers to their 28th World Series championship in franchise history. Once baseball's reigning Iron Man, A-Rod has seen his health decline slowly but surely over the past three-and-a-half seasons, along with the number of games in which he's played each year, and realistically speaking, that trend isn't likely to turn around. Those 14 All-Star elections? Those three AL MVPs? Those 10 Silver Slugger Awards and two Gold Gloves? Those are the A-Rod of the past. This A-Rod, the A-Rod who misses a week here with a minor injury or a month there after midseason surgery, is the A-Rod the Yankees must get used to seeing on a regular basis. A-Rod's current decline is largely symptomatic of a largely demographic shift that's currently sweeping New York's roster. The Yankees are among the oldest teams in baseball, employing the likes of A-Rod (35), Jeter (37), Mariano Rivera (41), Jorge Posada (39) and A.J. Burnett (34), not to mention guys in the midst of their prime like Mark Teixeira (31) and CC Sabathia (30). What else do all these players have in common? They all earn eight-figure salaries in fully guaranteed money. Not that the Yankees have ever had any difficulty paying for the exorbitant contracts that they've dished out over the years. Not that money has ever really been a sticking point for general manager Brian Cashman. However, with all of these guys losing pace on the field at the same time while still under contract for the next few years in most cases, the problem becomes a matter of winning and losing on the field. And when A-Rod, who is easily the highest paid player in the game already at $32 million, is under contract with the Yankees for another six seasons after this one, there tends to be a problem. Because there seems at this point to be very little chance that Rodriguez, who played in his first Major League game at the tender age of 19, will still be an effective and productive force worth anywhere near that kind of money by the time his contract expires when he's 42 years old in 2017. It's also entirely possible that A-Rod retires before that time. That he sees the writing on the wall and the surgical scars on his body and decides that his days on the diamond as a player are done long before his contract expires. Until that day comes, the Yankees will simply have to cross their fingers that Joe Girardi has the guile and the gumption to guide a roster chock-full of over-the-hill Hall of Famers back to the top of the baseball world. 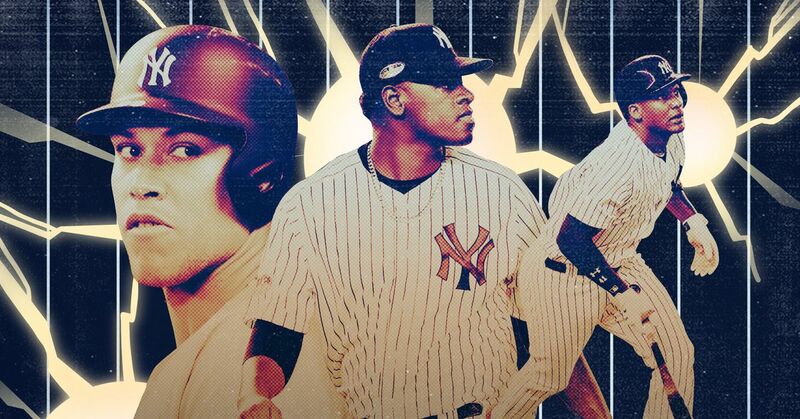 Otherwise, it might be a long while before the Yankees can free themselves of the burden that stars like A-Rod and Jeter have inevitably become and rebuild into perennial pennant contenders once again.